Finding the best location that would show off the quilting was not so easy. Finally I attached two pants hangers to the folded quilt and opened an antique dresser drawer to hang it on. 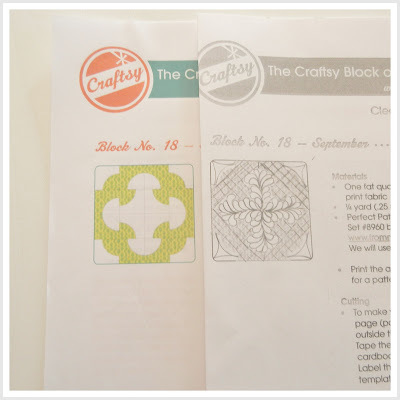 This is the Cleopatra's Puzzle, a Craftsy Block of the Month from 2012. 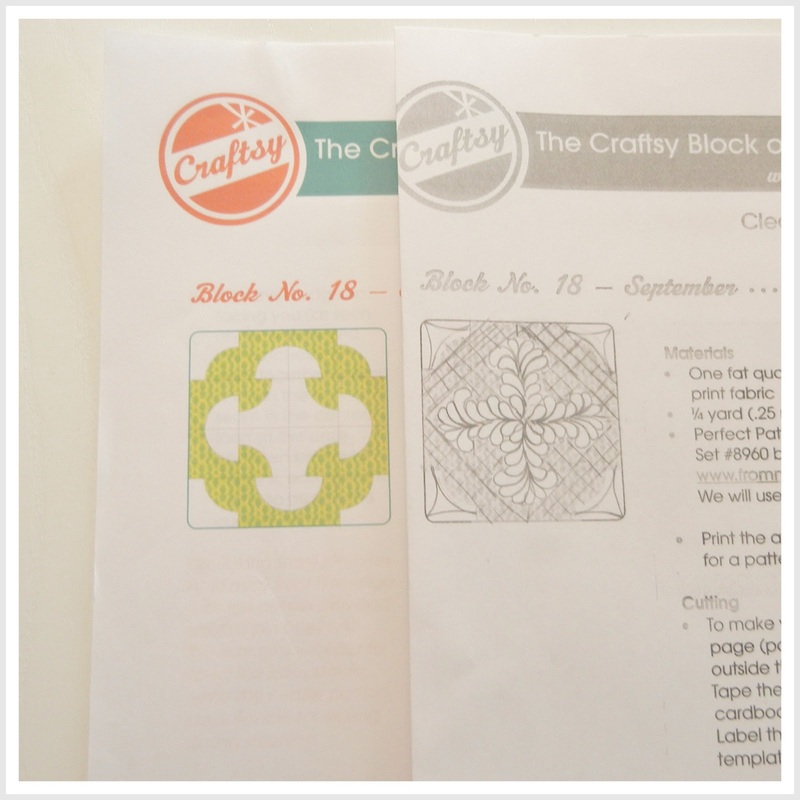 I purchased a couple of items that helped the quilting to come closer to my drawn picture. Mary Jo's Fabrics had a one day sale. Check out the website. It is a huge store with lots of fabric!! Anyways, I purchased a Flex Design Rule to help with drawing consistent curves, a Clover Soft Thread Pic for pulling loose threads into the sandwich Quilter's 1/4 inch tape and Schmeetz Top Stitching needles. I wish I had the Flex Design Rule for the wreath but oh well! I had so many loose threads to pull through from the starting and ending lines that I watched several shows on Netflix on my Ipad while pulling them. I loved using the Clover Soft Thread Pic for this job. In addition to securing the threads I decreased the stitching to 1.0 at the beginning and ending of each line to lock those stitches. My machine does have the knotting stitch. I tend to stitch too many where the knots show up on the quilt. I saw this video posted by Bonnie Hunter at Quiltville on facebook today. This Quilt-As-You-Go version completes it with all machine stitching - no hand stitching as I have done in the past. I am planning to make another Baseball T-Shirt Quilt for my oldest grandson and believe this will be the way to go. I am real excited about this find! When I am not sewing and it isn't raining I play around in my garden. 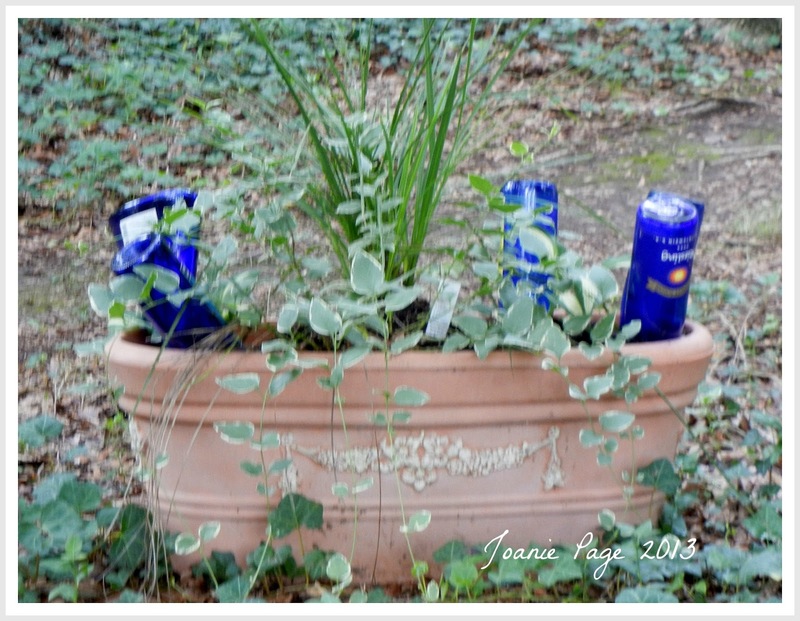 I have been collecting blue bottles with the idea of making a bottle tree. Quickly I stuck them in a planter to see if it would do anything. I think I like it. Now to remove the labels. Maybe the rain will melt them away! Well as I write this my husband just came home and brought me a big bag of Indulgent Trail Mix - CHOCOLATE!! Good thing I went to Planet Fitness this morning so I can indulge! This morning while perusing BlogLovin I found another Linky Party. 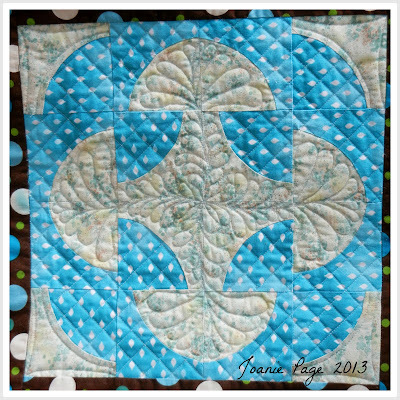 I will be linking with Stitch by Stitch Anything Goes Quilt n Sew. Also linking with Sew Cute Tuesday. I love your comments so let me know if you have visited my blog. Cleopatra's Puzzle block is gorgeous! Love the fabric and the feathers, Joanie. I haven't tried QAYG yet but am hoping to in the future. wow! your FMQ looks fantastic! and thanks for the video links! Your block looks great! Have not used the thread pic. I use self-threading needles to hide threads but I will have to check it out. Thanks for sharing! Stopping by from Anything Goes. 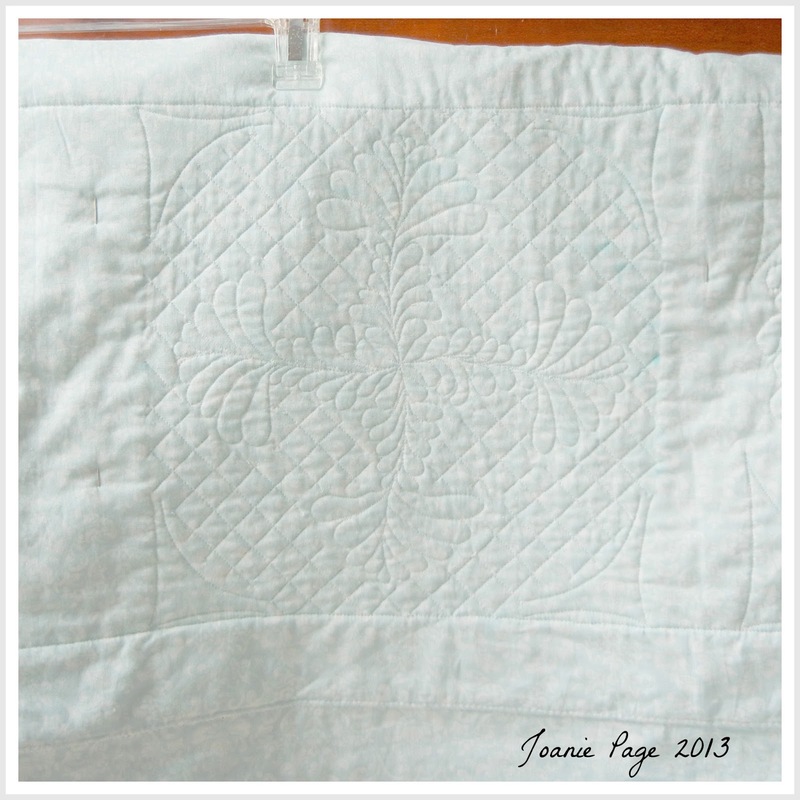 Your quilting looks great. With this method, the backing becomes the sashing and the binding. Just thought you might be interested. Hi Kathy, I had a Fun and Done Ruler and pattern. It is a great way too for a QAYG. The design of the pattern does need to be considered so as not to chop off points.